The above is from the December 29, 2012 post of Trina Hayes' "Hungry for Good Books?" blog. 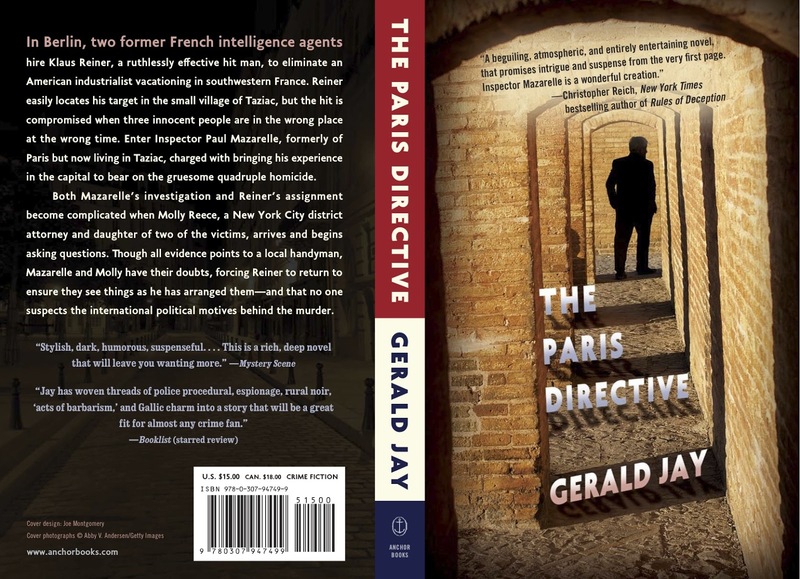 The trade paperback edition of Gerald Jay's Dordogne thriller!! 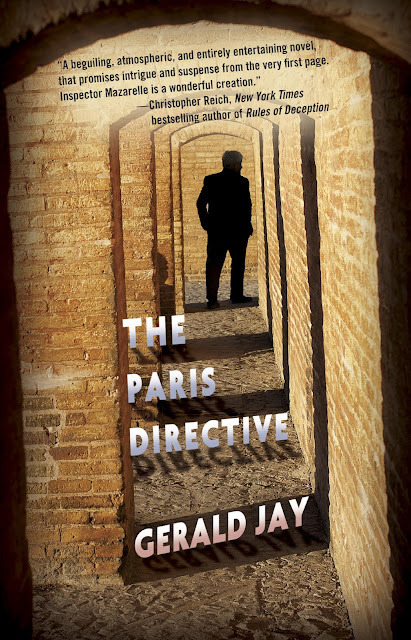 The unpredictable Inspector Paul Mazarelle, the diabolical villain Klaus Reiner, and the beautiful Molly Reece will emerge once again this spring in the new trade paperback edition of THE PARIS DIRECTIVE.